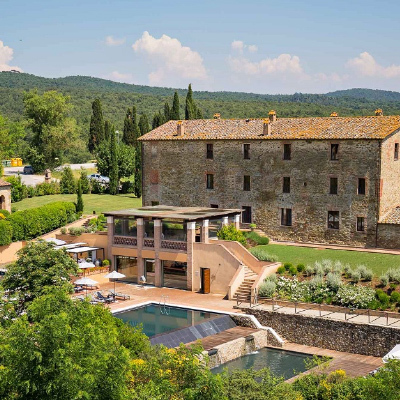 Castel Monastero can be found located within the picturesque region Chianti of Tuscany in central Italy. 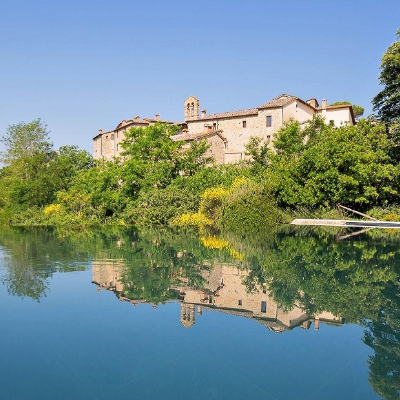 Its name literally translates as Castle Monastery, and it’s easy to see why as this hamlet has a fortified medieval feeling, and it was once used as a monastery when first occupied more than 1,000 years ago. 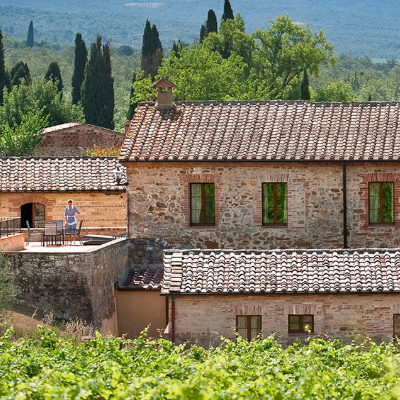 It’s set in a truly beautiful part of Tuscany and surrounded by rolling vineyards and sweeping unspoiled countryside. But for us, the inside of the grounds were even more impressive than the surrounding area. There is the main piazza square in the grounds which is the heart of the resort, where you will find a church and other towering medieval buildings surround the large open area with the original well still sitting in the middle. This is a magical place to spend an evening as the clear blue sky turns to night and the lights from inside the buildings start to shine out over the piazza. Being so unchanged since it was built It’s easy to imagine what it would have looked like hundreds of years ago as monks returned to their quarters with pails of water. During our stay, we experienced their Royal Suite, and the moment we stepped into our suite we knew we were not going to be disappointed. True to its name, the suite had a regal feel. It maintained the medieval internal architecture found throughout the hotel, with all the modern touches and facilities you could need. The suite was split over two floors, with the lower floor being home to the spacious living area, which was complete with comfy Chesterfield seating, a coffee table, as well as a well-equipped small kitchen. Climbing the stairs to the upper floor we found the bedroom and discovered a large storage area with beautiful antique style wardrobes along with a good sized desk. As well as a bathroom with a separate shower and bath. We also had access to a small balcony area with table and chairs. This provided the perfect setting to spend an evening sipping a fine drink overlooking the marvellous hotel grounds and surrounding countryside. 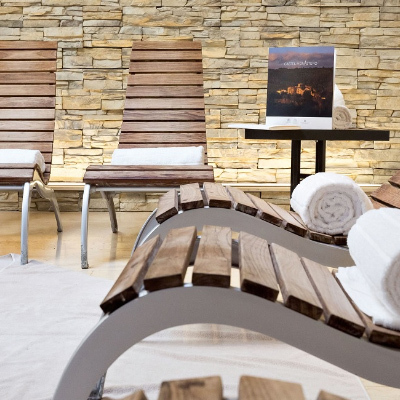 We have to add that a stay at Castel Monastero is not complete without visiting their wellness spa. 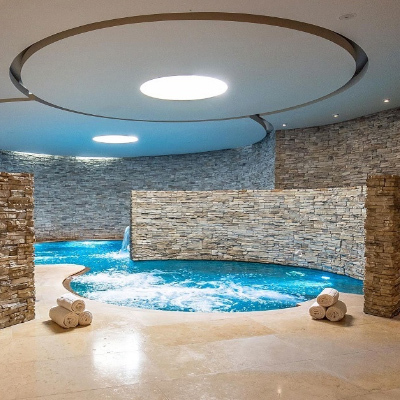 Two Tuscan villas just outside of the hamlet are home to treatment rooms, spa rooms, jet pools, and swimming pools. They also have some interesting programs focusing on the mind as well as the body, with yoga, positive thinking sessions, and walks in the woods outside the grounds, there really is something for everyone here. For dining you have two exquisite options, La Cantina is the more laid back option of the two restaurants. It’s located in their medieval wine cellars, and with the high arched ceilings and exposed brickwork, it’s clear they’ve kept the cellar close to its original state. You also have the option of dining at Contrada, their fine dining offering with indoor and outdoor seating and buckets of charm and elegance. We must also mention their bar which is situated within in the main hotel. It’s the perfect place to enjoy a drink overlooking the central piazza as day turns to night or to enjoy an aperitif before moving on to one of their restaurants. 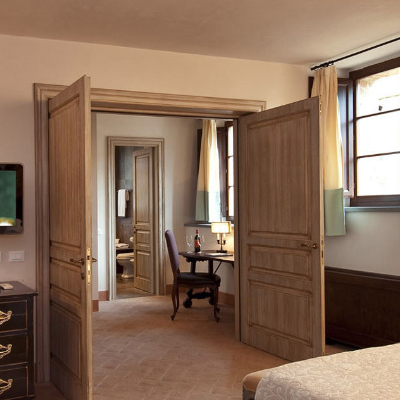 Castel Monastero provides a unique and pleasurable experience and oozes charm that can’t be replicated by modern destinations. We found ourselves bound by the magic and charm from this medieval setting while we were within the grounds, a truly memorable experience that we will not forget in a hurry.